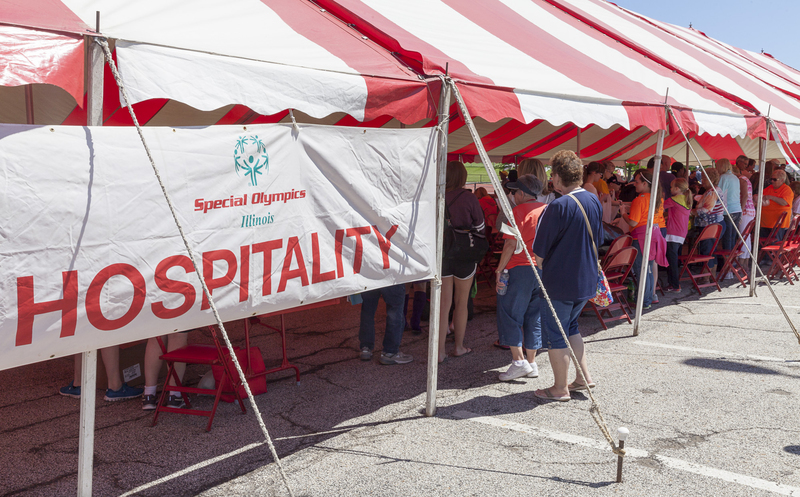 Tens of thousands of visitors flock to the Illinois State University and Illinois Wesleyan campuses in Bloomington-Normal each June for the Special Olympics Illinois Summer Games. Nearly 2,500 are volunteers like the American Legion/American Legion Auxiliary. Special Olympics Illinois could not hold the Games without the generosity of these groups and individuals. The American Legion/American Legion Auxiliary (AL/ALA) has run the Special Olympics hospitality tent for 32 years. The group initially became aware of the Games through family members who were competing and they have volunteered every year since. Serving an estimated 4,000 athletes is no small feat! 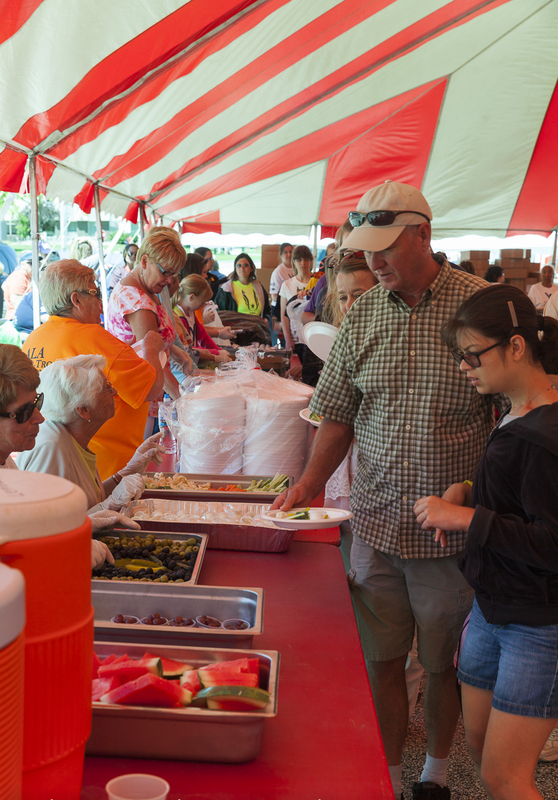 The AL/ALA also serves the families, coaches and other volunteers for two days – which takes a lot of supplies. “We go through 1,800 dozen cookies, 1,500 dozen sugarless cookies, 20 gallons of cauliflower, 19 gallons of broccoli, 18 gallons of black olives, 16 gallons of green olives and 16,000 popsicles,” says Cheri Stanton, a dual member of the Legion Family. Members of their group travel from around the state to help – one volunteer even travels from Green Bay, Wis., for the occasion. The AL/ALA bring enough people to prepare food and man a serving line. Their service extends past food, too – Legion Riders stop by for the athletes to pose with their motorcycles. They also involve the Illinois State Police who like to deliver Popsicles to athletes via golf cart. “We can’t bring shade to the athletes, but we help with hydrating them,” Cheri explains.